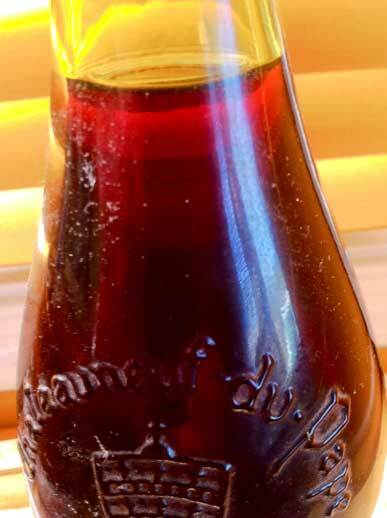 Bought this bottle of Chateauneuf du Pape a heck of a long time ago and am wondering if anyone out there has any notion of whether a) it has any value, b) if it’s even drinkable, and c) what it might go well with if I do decide to drink it. If you know anything about any of this, comment, please. This entry was posted in Big Garbage Can of Weirdness by Steve, i.e., him. Bookmark the permalink. I work with Lulu.com, and just happened to be on your site today. So this is a little information I found on 2 sites that may or may not be helpful to you (one is retail price comparison, the other is a tasting history, information and additional links about the wine, including best drinking years. Thanks for the input. Sounds like some of them from 81 could be pretty good.